We crave connection. We long for authentic and powerful self-expression. We want our voices to reflect the complexity of our womanhood: both tender and fierce, lost and found, holy and wicked. 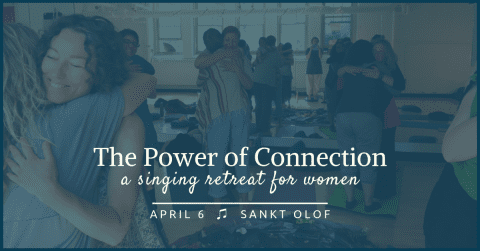 You are so very warmly welcomed to a day of discovering, exploring, and sharing our voices through song, chant, shout, and whisper. We will use voicework practices to connect with each other, the earth, and our own inner presence. Through these connections, we find our power. This power is not one of dominance but of empowered and embodied strength. It is the power to create, to draw healthy boundaries, to accept ourselves without reservation, to bear witness to beauty and to grief, to change what isn’t working, and to speak our truth whether it be as sharp as a sword or as gentle as a breeze. Retreat is led in English. Indoors, field, and forest, so dress for the weather. Absolutely no singing experience or “ability” required. Deadline to register is March 29. Laura Geiger is a somatic educator and coach specializing in voice, movement, neurodevelopment, and nervous system regulation. 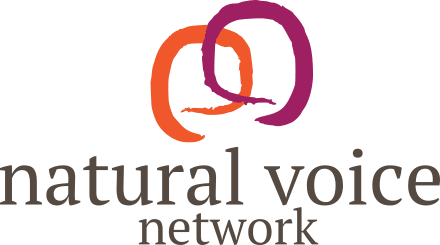 She has led dozens of women’s circles in three countries and is the founder of Conscious Voicework®, a therapeutic modality for women to find and speak their truth.